If you’ve poked around Katowice a bit, the notion of the city having had some kind of Golden Age may sound a bit like the farfetched fever dream of a desperate writer up late at night. Be that as it may, you should have noticed the imposing Parliament buildings on Plac Sejmu Śląskiego (Silesian Parliament Square) during your grouse about town. Yes, that’s right, Katowice – that same city we’ve all poked fun at like the fat kid in the class photo – once held its very own self-governing sessions. And it did it as a baby, no less. With the now-Polish half of Upper Silesia centered around Katowice constituting a new Polish province, the Polish Parliament in Warsaw passed an act on July 15th, 1920 giving the Silesian Voivodeship almost complete autonomy – a situation unique to any other province in PL. The new province would be entirely independent in its affairs, with the exception of foreign and military policy, and would have its own chief legislative body and treasury. 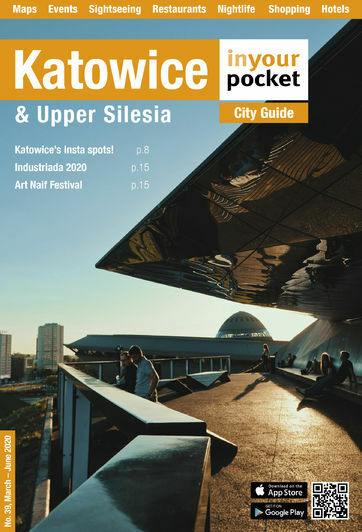 Suddenly, having only received designation as a city 23 years prior, Katowice was promoted to the rank of Silesian capital and had its own Parliament. Boom, like that. After the fireworks fizzled and the champagne was flat, one of the first resolutions of the new Silesian Parliament was to build itself a Parliament complex in Katowice’s centre where future Parliament resolutions could be passed and pizza parties held. 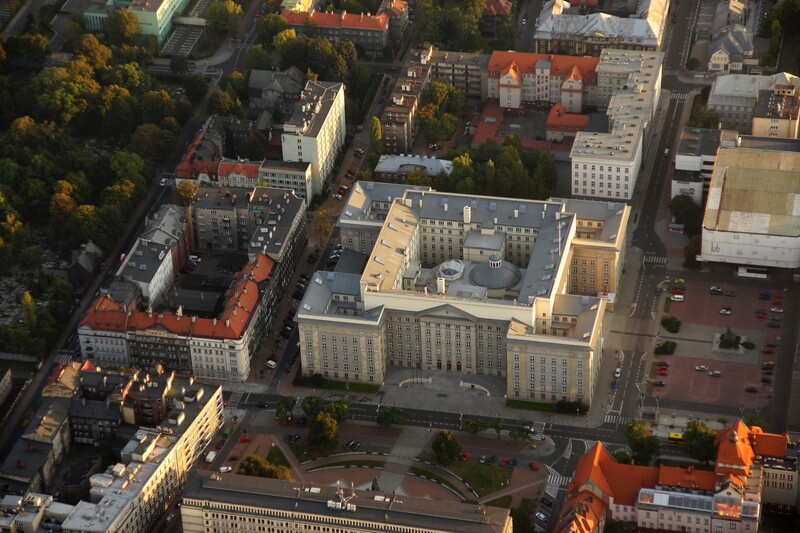 Choosing the project of Kraków-based architects P. Jurkiewicz, L. Wojtyczno, K. Wyczynski and S. Zelenski, the Silesian Parliament building was completed in 1929, and the government moved in after spending its first seven years in the former Royal School of Building Crafts on ul. Wojewódzka. 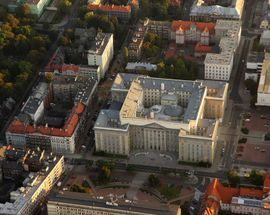 The new complex covered an entire city block between Jagiellońska, Reymonta, Ligonia and Lompy streets, and was the largest structure in Poland until Stalin built that big thing in Warsaw in 1955. Consisting of a monumental four-wing main body housing the classical assembly hall, the western side incorporates the main entrance leading to a grand domed vestibule reminiscent of a Renaissance palace decorated with the coats of arms of the towns represented by the autonomous Silesian province. 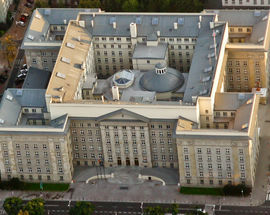 More monumental buildings were erected alongside the Parliament building in the 1930s, emphasising Katowice’s importance as province capital. Among these were the House of Non-aggregated Offices on Silesian Parliament Square, the Syndicate of Polish Iron Works on ulica Lompy and the original Silesian Museum on ulica Jagillońska (demolished by the Nazis in 1940). The inter-war period was a golden age for Katowice, with the Autonomous Silesian Voivodeship clicking on all cylinders. Silesia was the wealthiest and most developed of all the Polish provinces, thanks to its rich natural resources, numerous coal mines and steelworks. Despite the province’s small size it was also one of Poland’s major food producers with a highly efficient agricultural industry. It’s population density and rail density were also the highest in the country. Ironically, after all the ‘what country are we in’ confusion following WWI, less than a decade later a 1931 census claimed 92.3% of Silesia’s population identified Polish as their mother tongue, making the province the most ‘Polish’ in Poland. Just as surprising (and suspicious) given its blue-collared, black-fingernailed workforce, Silesia had the lowest illiteracy rate in the country at just 1.5% compared to the national average of 23.1%. Further evidence of Katowice’s forward march was the erection of Poland’s first skyscraper – the famous Cloudscraper on ul. Zwirki i Wigury and the country’s first artificial ice rink. Unfortunately World War II brought the party to an end, with Hitler occupying the province and stripping it of its gold star. After the war Silesia’s autonomy wasn’t reinstated, with the then power-holding Polish Workers’ Party forcibly renouncing the province’s special privileges on May 6th, 1945 after Katowice failed to take the hint. 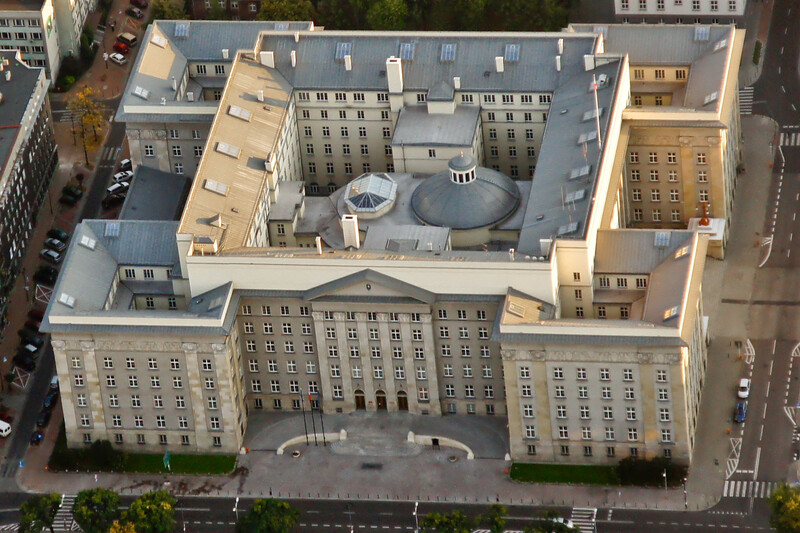 The Silesian Parliament building now houses the offices of the Silesian Voivodeship, but the feeling just hasn’t been the same since the census-doctors and the treasurer moved out. Many of the buildings in the complex have now changed function, while many others are occupied only by wistful memories of bygone days. The squares around the Parliamentary complex have come along nicely however, with the opening of one of the city’s best club venues at Plac Sejmu Śląskiego 2 (Hipnoza) and the addition of two large monuments in the 90s. A memorial to local hero, Polish nationalist and organiser of the Silesian Uprisings – Wojciech Korfanty – now stands outside the Parliament on Silesian Parliament Square; and in the adjacent Plac Bołesława Chrobrego stands a monument to ‘First Marshall’ Jozef Piłsudski, the domineering moustache in power during that golden era when Katowice was granted its short-lived status as Poland’s second capital. Sort of.